Over the last 50 years, our team of dedicated and professional staff has provided cost-efficient tours through our network of services in India to suit the individual traveler requirements. We Panicker's Travel are the pioneers in package tours and hold the leadership in India with capable to (the capability to) handle thousands of travelers every day for every location. Our's the only company offering every travel experience... leisure, wildlife, pilgrimage... suiting every budget... luxury to economy and the kind of friendly service and hospitality that we offer is unmatched. The best way to discover the undiscovered is through us. We take care of all travel requirements, leaving you totally free to enjoy your tour. Our travel consultants will offer you a package that ensures your tour through panicker's as per your desired dream holiday! You can expect more from us because we expect more from ourselves. Started with the small beginning as a Single Bus operating Travel Agency in 1967 is now counted as the top most travel service provider in the country from last forty years. Panicker's Travel is an exciting story of dedicated hard work ensuring friendly services for the pilgrimage/picnic tourists clock round, year-round. Panicker's Travel's services are available from Kanyakumari to Kashmir and covering many of the State Capital and tourist destinations. Shri. E.R.C. Panicker an adventurer in faith started the travel service with meager resources. His motto was to serve the customers more than any other motive. 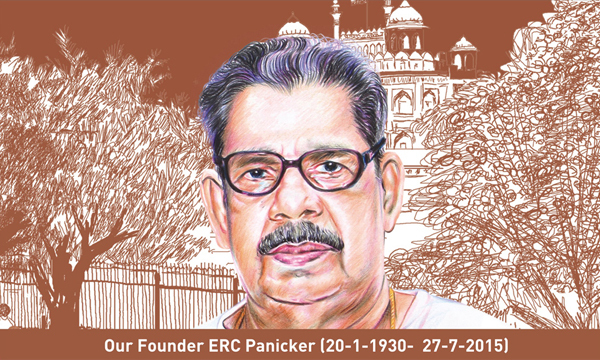 He literally believed in "Customer is the King" and customers believed in the dedication and commitment of Panicker's. Now, his son Shri. Gopala Krishnan (Babu Panicker) who has taken over from his father is at the helm of affairs. Today, Panicker's holds leadership in package tours in the Country. A well established, widely branched and firmly rooted strong tree with a team of dedicated and experienced staff, Panicker's Travel provides cost effective network of services including boarding & lodging in luxury hotels. Panicker's is the household word for tourists in India and abroad. Panicker's has branch offices in many places. Name any pilgrimage centre, any tourist destinations in North India Panicker's has its destination there. Panicker's Travel is the first operator in the North who introduced the VOLVO B7 R Series Buses in its huge fleet of tourist buses operating all over India. Deriving inspiration from the highest principle if business and the sincere blessing of the customers Panicker's has grown from strength to strength expanded from the city to city and also from the heart to heart. The National Tourism Award (2005-06) from Government of India for Best Domestic Tour Operator is the testimony of our excellence in quality service in the Domestic Tourism industry of the nation. Years Details 2005-06, 2006-2007, 2007-2008, 2008-2009, 2009-2010, 2010-2011, 2011-2012, 2013-2014 & 2014-2015.